This is the story of how tooth mousse came into existence. A Queensland dentist noted many young adults showing extreme wear of their teeth over a short period of time. Why is this happening? Are they stressed out? Maybe. He also noted the colour of the enamel looked whiter indicating the crystal like appearance of the enamel changing. Whiteness indicates the calcium is being lost and the enamel becomes softer and less protective of the underlying tooth structure. What is going on? Why are these people losing tooth structure and grinding their teeth so much that some parts of the enamel are worn through that the next layer of the tooth called the dentine is exposed. 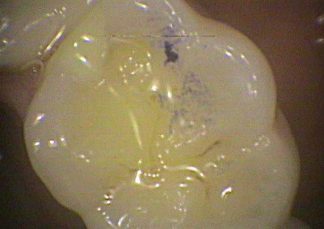 The dentine is yellow/brown in colour and is not meant to be exposed. This causes sensitivity and increases the risk of decay. It also wears more quickly and craters start to form on the biting surface. This is a problem as the dentine supports the enamel by enabling it to bend. Without that support, the enamel splinters and chips off. In some cases the tooth fractures. Eventually the culprit was found. High caffeine soft drinks that are also high in sugar and acid. The caffeine dries the mouth and the acid softens the tooth and the sugar reduces the acid reduction capacity of the saliva. Basically the tooth is becoming soft. The saliva has calcium in a form that replaces any calcium being lost from the surface of the enamel. As the tooth softens it is easier to wear and it becomes a play thing of the jaw as the bite changes with the wear. Sensitivity becomes a major problem together with eventual jaw joint issues. Also cracked teeth and increase means the mouth is becoming a hostile environment to the teeth. The person’s mouth is prematurely ageing! 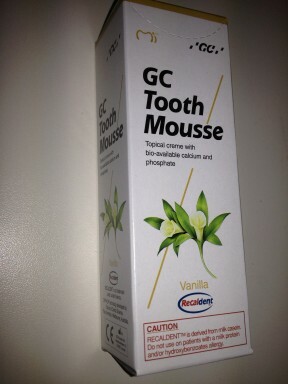 The dentist invented Tooth Mousse. A type of tooth paste using the milk protein, Casein, as a means of delivering the calcium to the tooth surface, he was able to stop the loss of calcium and restore the harder crystal structure of the enamel. Milk itself DOES NOT help the tooth surface directly. Obviously the person had to stop the high caffeine drinks such as Red Bull and Mother. However any damage that had already occurred has to be corrected.